In celebration of Women’s History Month, we’re highlighting five business-savvy women. We’ve interviewed professionals from various industries including healthcare, real estate, the nonprofit sector, graphic design, and e-commerce. These women are strong, dedicated, and proof that any goal can be achieved with hard work and determination. Over the past year, we’ve had the opportunity to work with Dr. Brittany Flaherty, Owner of Monocle Eye Care & Eyewear Gallery on the identity for her brand. Our design team collaborated with Brittany on the design of her logo, business cards, greeting cards, and banner stand. 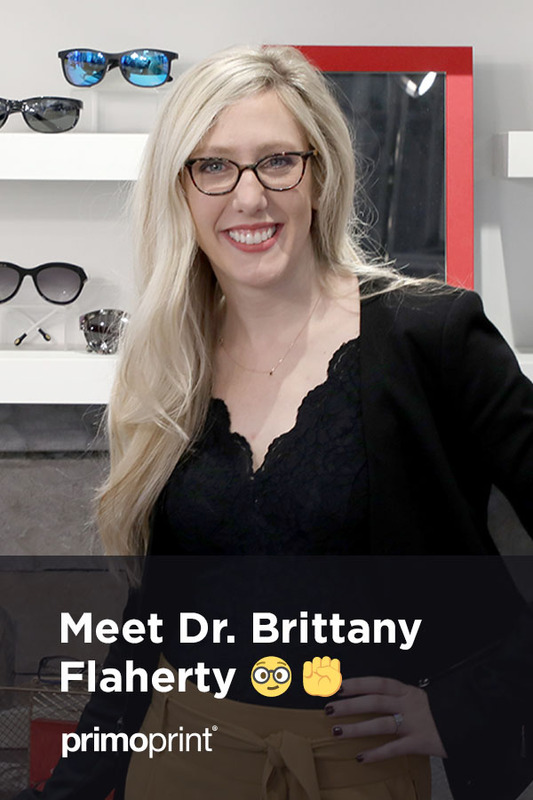 Brittany’s passion is educating people about their eyes. Check out our video interview below to learn more about her journey as a female Doctor of Optometry and business owner. Leisa Newman is the Office Manager and resident Licensed Optician at Monocle Eye Care & Eyewear Gallery. If you want to see her light up, ask her about helping patients. To her, the best part of working with Brittany at Monocle is that she truly gets to provide excellent care, knowledge, and advice to their patients. Learn more in the video below. From having a dad that can make some pretty spectacular shelves to having an eye for spotting the perfect decor additions at World Market and Homegoods, Brittany can pretty much add interior designer to her list of talents. I really just grab things that look old or look like they have a story. Her store is absolutely beautiful. Learn more about her vision and how it all came together in the video below. 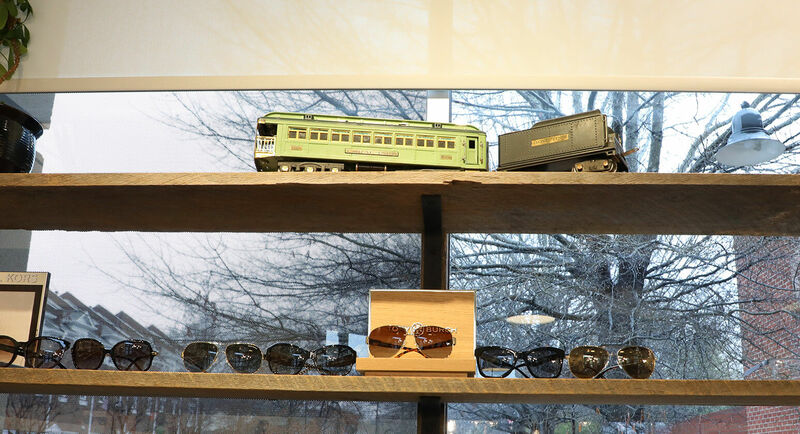 The antique train in Brittany’s shop not only looks cool but was a way for her to add a meaningful, personal touch to her store. Custom made shelving by Brittany’s dad. The wood is from Pennsylvania which was a great way for Brittany to incorporate an aspect from home, as she is a Scranton, PA native. 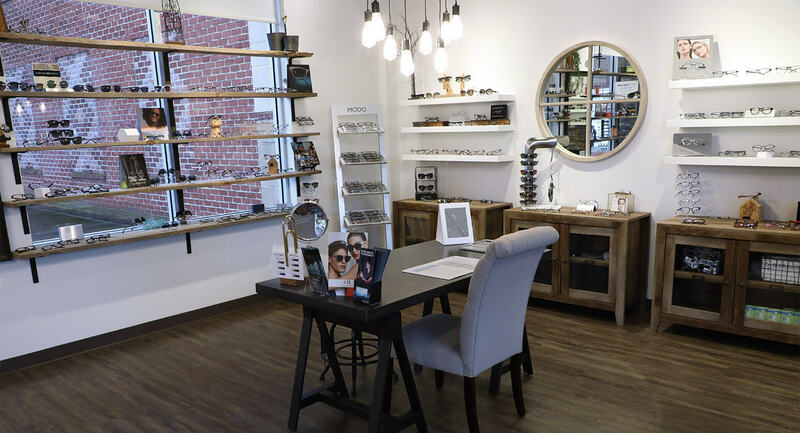 If you are local to the Cornelius area, be sure to check out Monocle Eye Care and Eyewear to see how she has made her vision come to life.